Representative Duncan Hunter’s (R-CA) ongoing push to secure the Medal of Honor for Marine Sergeant Rafael Peralta is gaining steam. 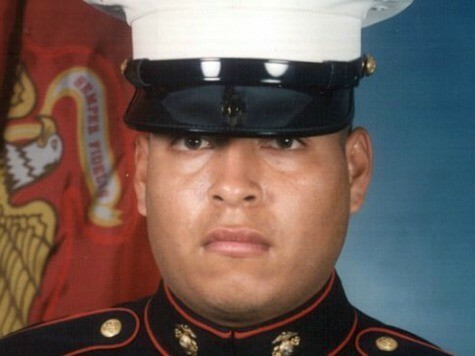 On November 15, 2004, Peralta died after grabbing an enemy grenade and smothering it with his body to spare the lives of fellow Marines. As Breitbart News reported in December 2012, Peralta was awarded the Navy Cross posthumously, but Hunter wants him to receive the Medal of Honor, as well. New photos showing the shrapnel damage to Peralta’s body armor and his M16 service rifle challenge “the six to 10 feet” theory, and Hunter is hopeful this will lead to reconsideration and an award of the Medal of Honor.